Thanks to the generosity of volunteers and various organisations, one of the CCID’s partner NGOs was able to provide festive cheer this past holiday season to the Central City’s community of people living on the street. 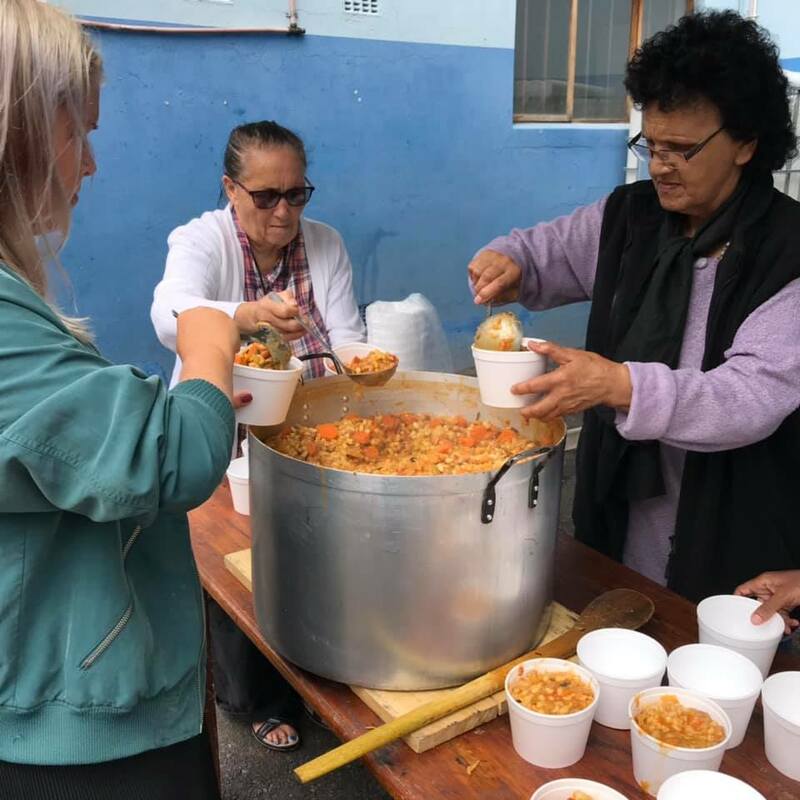 To help ensure that food security was not yet another worry for the Central City’s community of homeless people during the festive season, The Carpenter’s Shop stepped in to fill the gap left by The Service Dining Rooms when the latter closed doors for its annual break from 14 December 2018 to 13 January 2019. Says Janet Chadwick, coordinator for The Carpenter’s Shop’s festive season campaign: “Our #Feed5000 campaign went extremely well. We served 6 059 meals from 14 December 2018 to 13 January 2019, thanks to the assistance given and meals provided by a number of people and organisations. The meals we served included soup, chicken curry, Chicken à la King, samp and beans with chakalaka, fish biryani, beef stew, soya mince stew and fish curry. One of The Carpenter’s Shop’s goals was to also provide a Christmas meal for the community of homeless and vulnerable people. And, according to Janet, they managed to do just that. Janet adds that their clients were very grateful, with a number of people expressing how much it meant to them to see people volunteering to help feed them.